The Accolade Academy EETA program was introduced to all our leader staff back in 2001 and has been an annual program that’s fixed as part of our statuary training. The maturity and increase in emotional productivity benefited from the EETA program by our staff is substantially recognisable throughout each store since its introduction, returning a greater level of customer satisfaction and productive team work.. Through special invite from the respected Professor Lee Irwin, Accolade’s training and teachings were presented as part of Professor Lee Irwin’s class curriculum. Accolade Academy has played a key role in helping establishing and maintaining Purple Door's long term focus business plan and ongoing advisory.an. Like many businesses Onit Sport has used so many of the traditional styles of staff training available to improve skill and staffing responsibilities, and having all the skills we needed in place. We were looking for a training programme that would resonate with our staff in a way that brought equal thought of value to our business. Paul Rees professional business coaching has been instrumental in the success of Onit Sports expansion of business. Using the EETA programme within our business has increased our sale and efficiency by at least 35%. All levels of staffing have benefited from the programme in such a positive, productive way we will definitely be continuing long term with Accolade Academy. What a combination! Both Paul and Deb merge to intertwine their intuitive insights and sound psychological guidance to help pinpoint those hidden aspects of ourselves and shine a light on them. You get to then re-direct that focus in the direction you want to bring your life. Aspects like self-worth and self-love are wonderful skills. In my first two months I doubled my income and created a wonderful new romance, what more could I ask for?? New York: Accolade Academy has been instrumental in helping devise guiding principles and maintain/ enhance our focus/ clarity as it pertains to both acquisitions and existing assets. Europe: The Accolade Academy EETA program was introduced to all our leader staff back in 2001 and has been an annual program that’s fixed as part of our statuary training. The maturity and increase in emotional productivity benefited from the EETA program by our staff is substantially recognizable throughout each store since its introduction, returning a greater level of customer satisfaction and productive team work and above all a healthy organization. Canada – Life Coaching Participant: What a combination! Both Paul and Deb merge to intertwine their intuitive insights and sound psychological guidance to help pinpoint those hidden aspects of ourselves and shine a light on them. You get to then re-direct that focus in the direction you want to bring your life. Aspects like self-worth and self-love are wonderful skills. Having initially introduces the 6-month staff programme I moved up to the elite team programme for my team. Both programmes have far excited my expectations and dramatically introduces a quality to ideas, thinking and direction not experienced by my staff in trading history. Accolade and its coaching direction is now a set schedule in my business that I will always see its benefits. Melanie Disley – Professional Business Coach. Paul Rees Accolade Business Coaching thank you so much for being such an amazing wonderful coach and mentor as well as an associate. Emotional session this morning as Paul helped me to determine what really matters to me and why. I aspire to be as great a coach and mentor as you, Paul and I know I will continue to improve and develop my coaching and mentoring skills with your support and help. I am so glad I found you. Thank you. Paul is authentic in his desire to empower others to succeed personally and professionally. He has an intuitive ability to get to "the heart of the matter". His energetic and compassionate coaching style will keep you moving onwards and upwards. When I first started working with Paul, I was in a dead end job & going no-where. Paul helped motivate me into the many possibilities life had to offer. I got my qualification studies finalized. Changed jobs, vastly improved my income, bought a Tesla, built a ‘Near Zero’ home and sowed the seeds for a my new business. We worked on the business logo & plans to move forward. Paul has some great insights and can easily help you grasp the possibilities that are at hand. Bring him your dreams & passions, and he’ll get you moving in that direction with his charming ‘easy peazy, lemon squeezey’. Hard work still has to be done, and lots of walls & ceilings to breakthrough, but with Paul at your side, he will talk you through the challenges, and guide you on each step of the way with his amicable energy & zest. Paul Rees is an established Business Peak Performance Expert in the USA, Canada and UK, he is also a Radio and Television Presenter, Author and CEO of Accolade Executive Peak Performance Coaching. Paul’s speciality is his unique, widely successful style of working with executive teams and both business owners as well as the career individual. 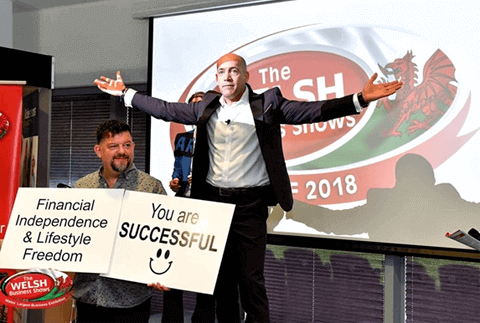 Paul also has published article writing that has received recognition all over the world, influencing a change and understanding to the importance of individual and team peak performance business lifestyle, accountability and attitude.